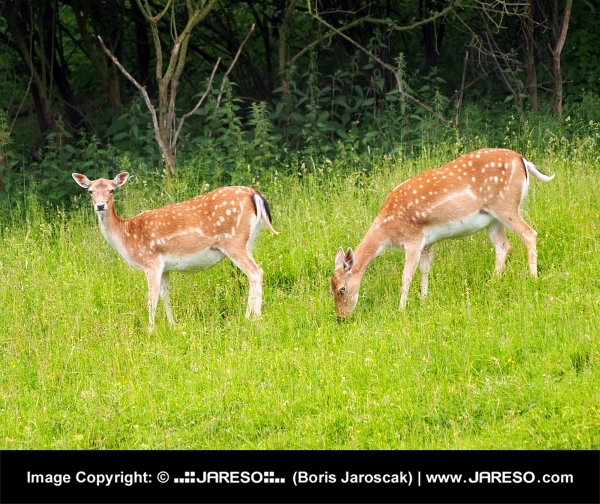 A summertime view of two fallow deers (Dama dama) on the green meadow. 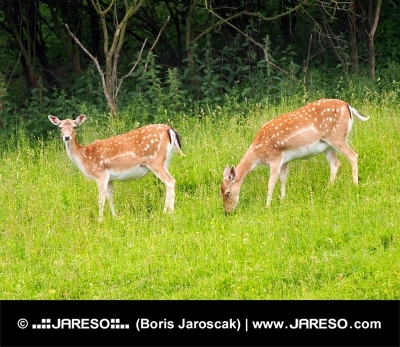 These mammals belong to the family Cervidae. 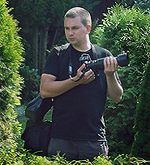 This photo was taken in Liptov region, northern Slovakia.